On the evening of April 27, Digamber was startled by his mother’s panic-stricken voice at his home in Saru village of Pauri Garhwal district of Uttarakhand. “There is a fire in our forest,” she screamed. Digamber and his wife, Urmila, came out of the house and saw the entire pine forest burning. Within minutes, the fire reached their hay stacks, kept since November last year for feeding their three cows. “We ran to save the hay stacks from fire. I had asked Urmila not to go towards the fire but she did not listen. Seconds later, her clothes were in flames. I could do nothing to save her,” says Digamber, his voice almost inaudible. Urmila was rushed to the district hospital at Pauri Garhwal where, looking at the seriousness of the burns, she was referred to the base hospital of the district. At the emergency ward of base hospital, Digamber was told his wife had suffered nearly 90 per cent burn injuries. A day later, he took Urmila to the Safdarjung Hospital in New Delhi, where the doctors declared her dead. Urmila is one of the seven people who have died so far in the Uttarakhand forest fires, which have been burning for more than 100 days. The fire that was first reported on February 2 has already engulfed all the 13 districts of the state. The worst-hit districts are Pauri, Nainital, Rudraprayag, Chamoli, Almora and Uttarkashi where forests neighbouring 1,500 villages are under fire. Forest fires are a regular feature at this time of the year in the state, but this year, say village residents, the trees are burning as if apocalypse is near. Till May 7, over 1,828 incidents of forest fire in the state had affected 4,015 hectares (ha), of which 102 ha are plantations. State forest department puts the monetary loss at a little over of Rs 35 lakh. Environmentalists say the real loss of the fires will be the damage done to the ecology, something that the forest department does not track. Uttarakhand forests are home to a significant population of insects and mammals such as tiger, sambar, muntjac, leopard, common langur and the yellow-throated marten. “This is the breeding season of birds. Thousands of birds’ eggs were destroyed in the fire. It is not possible to measure the loss of such diverse fauna, but for certain, some species of birds, insects, butterflies, could be wiped out from the jungles,” says Diwan Nagarkoti, an environmental educationist from Almora. Though an annual spectacle, forest fires can't be ignored. This year, the fires are severe because of multiple factors. Other than the scorching heat, there was negligence on the part of government agencies and apathy on the part of the local people. Fires are lit by people for a variety of reasons, but fires become rampant when the fuel load is not removed and fire lines are not cleaned. The focus should be on preventing the fire from spreading. Local people should be involved. A long-term measure can be an annual fire management plan prepared with maps of vulnerable areas and an early warning system in tandem with the Forest Survey of India. The plan should be ready by December. A control room should also be established by December, through June. Incidentally, I suggested these provisions in the 2001 guidelines and in the integrated forest protection scheme with emphasis on Joint Forest Management (JFM) engagement. During my last visit to Uttarakhand, I was told by the state president of the van panchayat, N S Tomar, that funds from the state were not made available to maintain the fire lines. Even the top brass has no seriousness about utilising funds from sources such as the Compensatory Afforestation Fund Management and Planning Authority (CAMPA). Due to intense politicking in the Union Ministry of Environment, Forest and Climate Change, the forestry sector is choked of funds. On the other hand, CAMPA has funds in excess of Rs 40,000 crore. Joint Forests Management Committees (JFMCS) have an important role in controlling these fires. It is essential to sign a memorandum of understanding with JFMCS and pay them 50 per cent of the expenses to control fire lines before the start of the fire season and the remaining at the end. District forest officers should be made responsible. Bhawani Prakash Gupta, chief conservator of forest, Uttarakhand, says the forest department’s priority is “to save the forests and human habitation areas”. “As far as wildlife is concerned, the four-legged animals run towards habitation to escape the forest fire. Birds too find their safety spots. But for nests and other kinds of fauna, we have no method or policy to save them.” He adds that they have recently doubled the number of firefighters in the state to 6,000 on the direction of the state Governor. 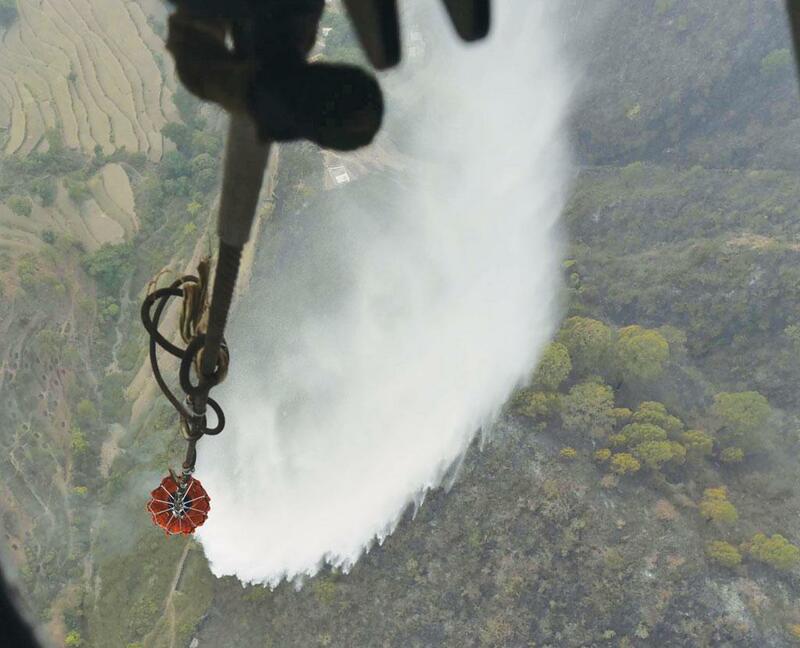 “A total of 11,773 people including firewatchers, forest department staff, police, NDRF (National Disaster Relief Force), fire officers and SDRF (State Disaster Relief Force) team were employed to douse the enormous forest fire that has nearly ravaged the state.” Two Indian Air Force choppers, each with a capacity of 3,000 litres of water, were also pressed into service in Garhwal and Kumaon regions. 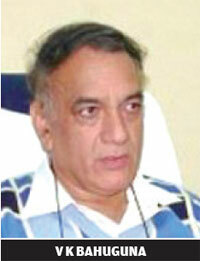 He adds that till May 4, the state had spent Rs 50 lakh on the water that the two choppers dropped. 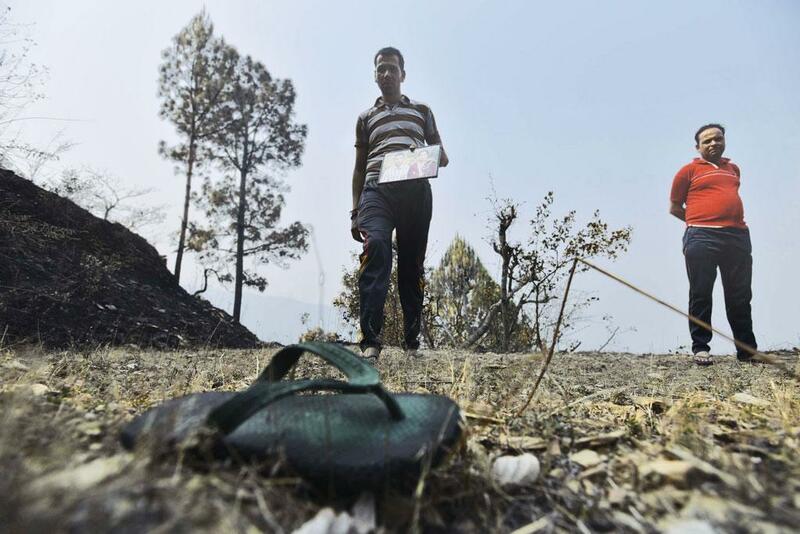 But 61-year-old Kundan Singh, a resident of Hariyal village in Nainital district, says the state is wasting money because the firefighting teams “do not know how to control fires”. Despite having forest fires every year, Uttarakhand does not have a uniform plan. Each district decides its own fire plan on the basis of common guidelines stated by the department. The district fire plan is decided in a meeting held between December and February every year. The meeting is headed by the district magistrate and attended by state and district forest officials, police, fire officers and disaster management officers. Forest officials say the guidelines are hardly ever met because of paucity of funds. “Whether district-level fire plans work or not depends on funds. If there are insufficient funds, we are unable to put the plan into action,” says Prem Kumar, conservator of forests, North Kumaon. The budget is decided according to the fire plan. The funds are released in two parts: once in November-December for preparation, and then in April-May when forest fires peak in the state. The state government has released Rs 21.75 crore between April and May this year. Officials say delays in the release of funds are a regular feature, which hampers fire-control. For example, a delay in the releasing of funds during November-December means sufficient number of fire lines are not set up. Fire lines are wide clearings, ranging from 20 to 300 m, made in a forest to stop the spread of fire. Delays mean these lines are filled with dry leaves and twigs, and as a result help in the spreading of fire. While admitting to the delays, Gupta says it does not hamper the execution of the plan. “Yes, there is a delay in the release of funds from the government. But the department continues the work according to the plan. The payment is compensated later.” Gupta’s explanation has few takers. Environmentalists say firewatchers and forest guards often do not receive payment because of the delay—a reason village residents are not interested in getting involved in fire prevention activities. “Firewatchers receive promotion when they near retirement, unlike other officials who are promoted regularly. Instead of hiring conservators, more forest guards and watchers should be employed,” says environmentalist Chandi Prasad Bhatt, who pioneered the Chipko movement in 1970s. The little known story of the raging forest fire in Uttarakhand hills, home to many Himalayan glaciers, is how it fouls up both lungs and climate. When forests burn, stored carbon is freed from these ecosystems which worsens warming. Forest fires emit a mix of organic material as well black carbon, or soot. Organic material scatters light and cools and black carbon absorbs light and heats up. But on snow and glaciers, both can absorb heat and speed up melting. In the air, black and brown carbon absorbs solar radiation and warms up the atmosphere, worsening snow melting and interfering with cloud and rainfall. 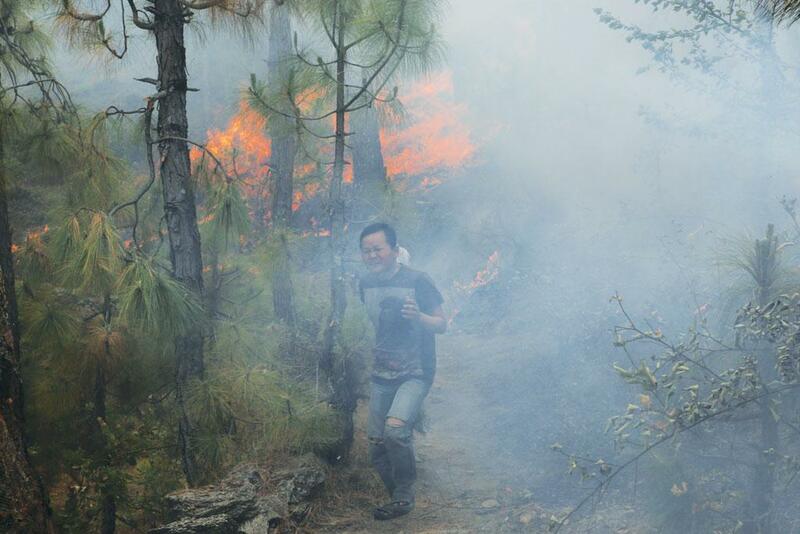 This is bad news when Himalayan forests are prone to wild fires. Though the numbers are uncertain, studies in the Himalayas show two-thirds of the Hindu Kush Himalayan and Tibetan glaciers are melting rapidly since 1950s. In addition to the CO2 led global warming, high solar heating by black carbon at an elevation of 2 to 5 km is as much as 25-50 per cent of the background solar heating. A 2010 study by Lawrence Berkeley National Laboratory with others shows that from 1990 to 2010, the snow/ice cover over the Himalayas decreased by about 0.9 per cent due to aerosols. Indian black carbon from a variety of sources is responsible for 30 per cent of this decline. In 2009, the Union Ministry of Environment and Forest and Climate Change in its report on black carbon reviewed studies which found significant impacts of South Asia's black carbon emissions in the Mt Everest region. A significant increasing trend in the black carbon radiative forcing was noted since 1990. The report states that black carbon concentrations over the Himalayas and on glaciers cannot be neglected and has asked for its systematic investigation. In fact, environmentalists say that though forest fires are a natural process, acute ones are often triggered by people, intentionally or due to negligence. “Even a burning matchstick can start a forest fire. In Uttarakhand, illegal timber trade and intentional and negligent lighting of fire are major reasons for fires,” says Bhatt. He adds that village residents often set fire to the forest floor of pine needles to get a good cover of grass the next year and to get rid of the slippery chir pine needles. He also points out that village residents, fire officials and traders often burn forest portions and smuggle wood. Between April 27 and May 7, 2016, 49 police cases have been lodged throughout the state for intentionally lighting a forest fire. The weather also played its part in this year’s forest fire. The official forest fire season in the state is between February 15 and June 15, when the air is dry and warm. But this year, first forest fire incidents were registered on February 2. This year, Uttarakhand received scanty rains in December and January making it an abnormally warm winter. “Due to lack of rainfall in the winter months, there was no moisture in the air and soil, so the fires started early,” says P Soni, senior forest ecologist and former head of the division of Ecology and Environment at the Forest Research Institute (FRI), Dehradun. The state had been registering deficit rainfall since May 2015, but the forest department failed to act on the warning. Government data suggests that except for June, all the months between May 2015 and February 2016 registered defecit rainfall. In January 2016, Uttarakhand received just 5.4mm of rain instead of the expected 52.1mm. In February, there was just 29.2mm of rain against the expected 54.1mm. “We have to understand that we cannot stop forest fires, but we can successfully control the fire so that it does not wreck havoc. What we are seeing today is the result of years of negligence on the part of the (forest) department and village residents,” says Soni. Large-scale migration from Uttarakhand hills in the last decade is also responsible for the magnitude of forest fires this year. Arvind Bijalwan from the Indian Institute of Forest management, Bhopal, and Manmohan J R Dobriyal from Navsari Agricultural University, Gujarat, say that earlier village residents used to collect the litter, including inflammable chir pine needle and oak, for bedding purpose of their domestic animals. This used to reduce fire hazardous material in forest areas. It was also easier to douse fires as there were more people in the area, they say. But most hill districts in the state have seen a reduction in population growth rates. For example, Pauri Gawhal has witnessed a 136 per cent decline in decadal population growth rates between 1991-2001 and 2001-2011. Tree varieties in the forest aided the fire. The pine trees in the forests have resin and are highly flammable. Chir pine and banj oak trees dominate 24,240 sq km of forest in the state. Chir pine trees make up 16 per cent of the state’s total forest area, according to Uttarakhand Forest Statistics 2012-13. 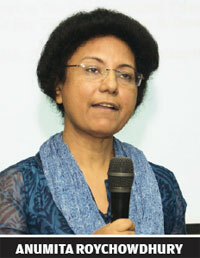 Environmentalist Radha Bhatt says that the British promoted the tree because the wood could be used to make train berths. The trees are still a big revenue generator for the state. In 2016, Uttarakhand sold 16.5 million kg of resin in a nationwide auction and earned over Rs 90 crore, which is close to five times what the state has so far spent on forest fires. Gupta says that his department has floated an idea of cutting down pine trees that are found on altitudes above 1,000 metres. The felling of tress at high altitudes was banned by the Centre in 1980s. “We will approach the Supreme Court with our proposal, once it is approved by the Union Ministry of Environment, Forest and Climate Change (MOEF&CC),” says Gupta. Environmentalists, however, warn that the move will further damage the state’s ecology. “When India is fighting climate change, it is not wise to bring down thousands of chir pine trees. 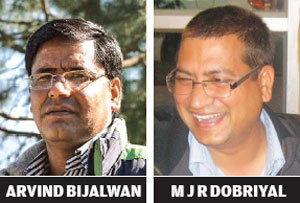 It is more advisable to introduce broad-leaved trees,” says Diwan Nagarkoti, an environmental educationist from Almora. “Removal of pine will further degrade the ecological capacity of the forest to prevent loss of soil water,” says Niyati Naudiyal, a PhD student working on forest fires at the department of natural resources, TERI University, New Delhi. Naudiyal says pine is a hardy tree variety that normally survives forest fires. So, she suggests, if the state effectively controls forest fires, other tree varieties will grow in due time. While Uttarkhand is burning, several other states are merely waiting for a similar fate. 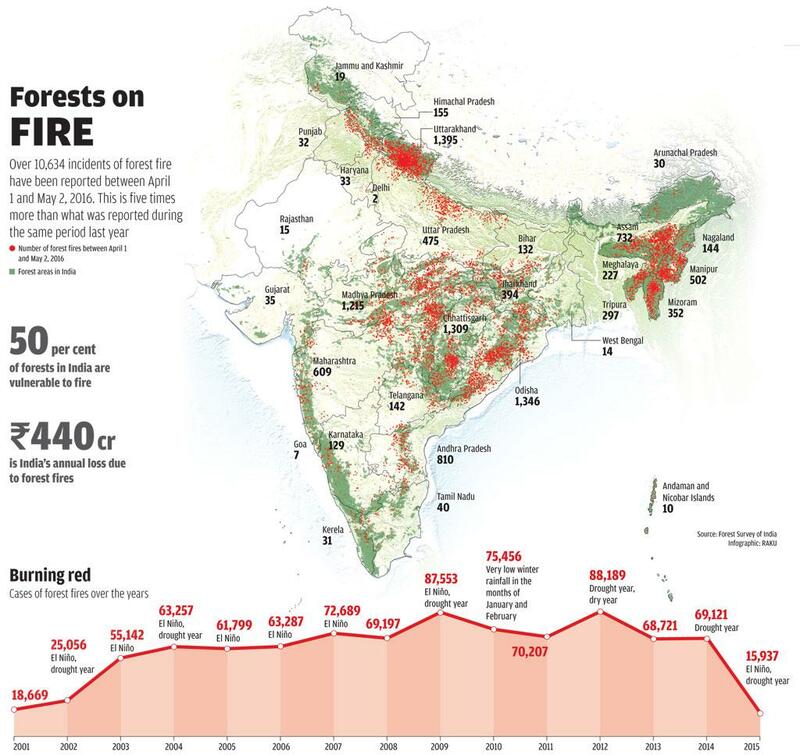 An analysis of forest fires across India between April 1 and May 5, 2016 shows that Uttarakhand, with 1,395 forest fire incidents, is leading. But a close second is Odisha with 1,346 fires—just 49 less incidents—followed by Chhattisgarh with 1,309 fires. Both Odisha and Chhattisgarh have a huge dense forest cover. In fact, Pauri Garhwal, which is the worst-hit Uttarakhand district, is in news with 419 incidents of fires, but it is Bastar district in Chhattisgarh that has reported the maximum number of forest fire incidents this year with 555 fires. Bastar, which has 60 per cent of reserved forests, is twice the size of Pauri Garwhal. 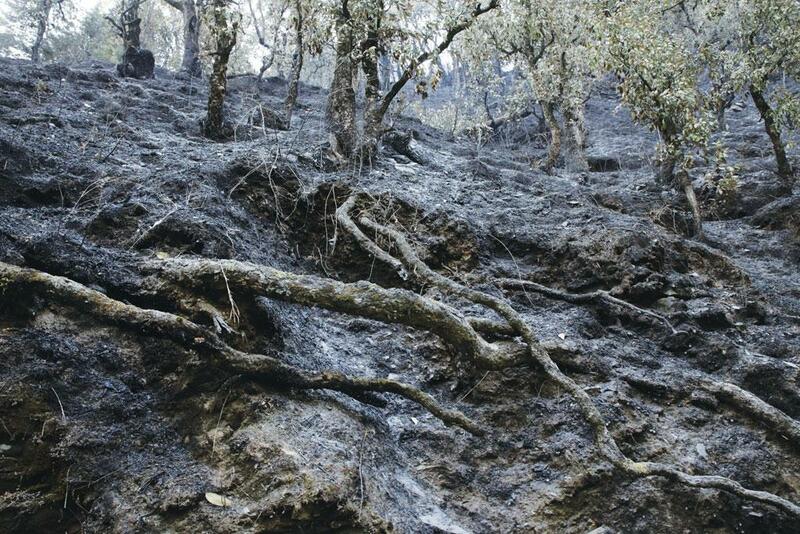 In Uttarakhand, forest fire is a common phenomenon. Earlier, villagers used to collect the hazardous litter, especially chir pine needle and oak, for animal bedding. Due to migration, there are few people left to monitor these fires. Most of the districts in the state have seen a reduction in population growth rates too. For example, in Pauri, there was a 136 per cent decline in population growth rates between 1991-2001 and 2001-2011. The fires in other parts of the country are different from the Himalayan region where the steep and undulated terrain and high wind velocity spreads the fire within few hours. Due to the lack of manpower in the forest department, fire lines are not cleaned. Forest and beat guards have to look after impossibly huge areas, around 1,500- 2,000 hectares each. Most of the beats in states are without beat guards and manpower is shared with two-three beats. There are many ways in which the impact of a forest fire can be mitigated. Trees like Banj oak, Myrica, Alder, Rhododendron should be included in chir pine forest. Forest litter and humus can be converted into bio bricks and vermi compost. Migration should be checked. Modern fire fighting techniques should be adopted such as the radio-acoustic sound system for early fire detection and Doppler radar. There should be stronger collaboration between the forest department and villagers. A proper fire forecasting and warning system should be implemented. A separate wing for firefighting should be created in the forest department. A fire danger rating system for different types of forests should be followed. The government can also look at a forest insurance policy for at least valuable forests. Union government data on May 2 suggests that over 20,667 incidents of forest fire have been reported in the first four months of 2016 (see `Forests on fire’). The Forest Survey of India (FSI) says over 50 per cent of the forest areas in the country are fire-prone. It also pegs the annual forest loss because of fires at Rs 440 crore. This estimate only accounts for the replacement cost of the seedlings and does not include the losses to biodiversity, timber, carbon sequestration capacity, soil moisture and nutrient loss. The country should have been especially prepared this year. There were enough indications for the impeding forest fires this year. Both 2015 and 2016 are El Niño years, which is widely known as a trigger for forest fires. In fact, dry El Niño conditions in 1997-98 had resulted in forest fires across the globe. There are also models that show that simple rainfall data, generated regularly by the India Meteorological Department (IMD), can be used to indicate the dry spell and therefore the likelihood of fires. But India does not even have a unified forest fire policy or national plan. Forest fire is covered in bits and pieces under Acts, policies, forest working plans and various government forest/wildlife schemes. The overall management of forest fires is the responsibility of the forest department. But the forest protection division is entrusted with the job of forest fire management work along with NDMA, National Institute of Disaster Management (NIDM), international organisations, FSI, FRI and six regional offices of MoEF&CC in the country. The regional offices are then expected to act as coordinating offices with the state forest departments to look after forest fire. There is again no uniform process to control forest fires at the state level and most state forest departments are understaffed. “There is a complete apathy in fighting forest fires in states. In many instances, forest range offices have failed to act to control fires that have happened in their vicinity,” says Alok Shukla, a forest rights campaigner with Chhattisgarh Bachao Andolan. What is equally startling is that the country already has the technology to monitor and warn against forest fires. FSI researchers say that they send daily forest fire alerts to forest departments in all the states on the basis of data collected by satellites (see `Tech no help’). “With the help of satellites, we are able to know how the fire is spreading with details like speed and area,” says FRI scientist Sunil Chandra. The institute has also developed an advance warning system which is correct in 95 per cent of cases. But the technology is of little help because of a more fundamental problem that has long plagued India’s forests—the growing distrust between forest officials and forest communities. 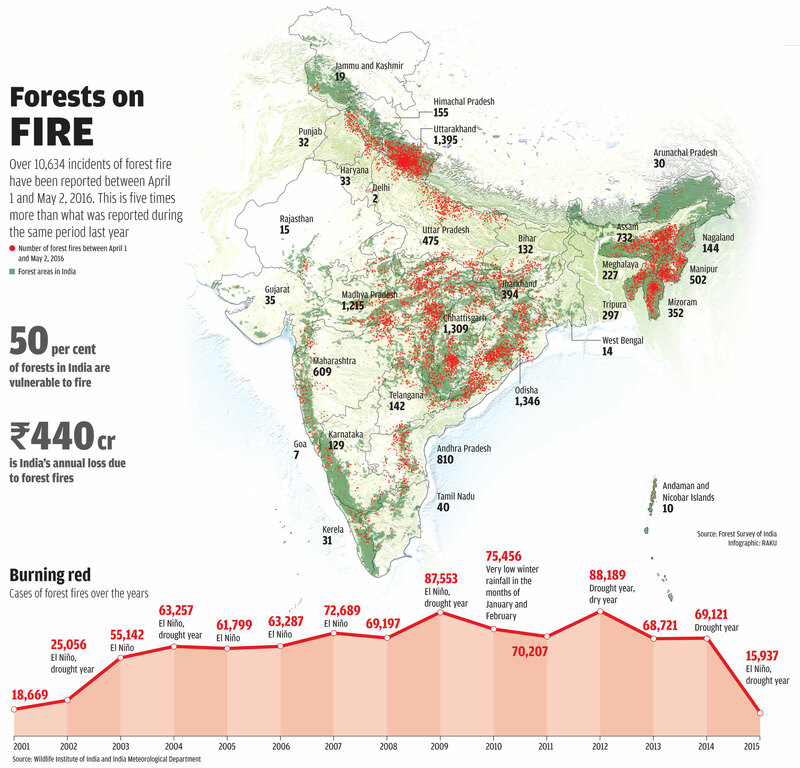 In India, policy dictates that the forest department should suppress fires. This is against what communities across the world have been doing for generations. It is now considered more prudent to actively manage available fuel in the forest by controlled burning of litter and dead wood in the region so that even if there is an accidental fire in the area, it is small and manageable. Savita, the first woman director of FRI, says regular clearing up of fire lines and engaging fire-watchers in sufficient numbers is the best way to prevent forest fires in the country. And this can only be done by engaging local forest communities. “Village residents play a critical role in detecting fire and limiting its spread. The forest department neither has enough manpower nor robust planning. 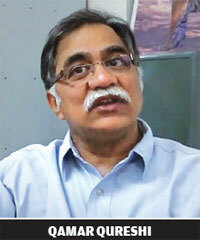 The government must recognise villagers’ efforts,” says Subrat Nayak, a development expert from Bhubaneswar. “We never ask village communities to participate in managing forest resources, but expect their support at times of crisis. If the present situation of estranging communities from forests continues, there will be fewer forests and more forest officials,” says Bhatt. Forest officials normally hold communities responsible for the fires , which highlights their distrust in the people. Anurag Srivastava, district forest officer of Bastar, says most fires are caused by mahua flower collectors (normally tribal communities) as the season of collection begins in February and lasts through April. “In order to collect mahua flowers and initiate coppicing in the stumps, the forest floor is set on fire which on many occasions goes out of control,” he adds. Shukla says this is not true as most tribal communities know how to control fire. He, instead, says commercial activities such as mining and plucking tendu leaves are responsible for the fires. “In order to clear large swathes of forest lands quickly, mining companies in connivance with the contractors often set forests on fire, which no one talks about.” He adds that earlier village residents would help forest officials in fire fighting but now they fear they might be persecuted for entering reserve forests. Traditionally, natural forest fires or wild fires were a way to ensure that the forests were functioning normally. Wild fires in earlier days played an evolutionary role in shaping eco-systems and its component species. Humans used it as a tool to reshape and dominate their world. Then there were controlled forest fires which were human-made, but people residing in the forests knew exactly when and how much to burn. However, the reasons today are largely human-made. People burn forests for collecting forest produce, for pastureland to graze cattle, and timber. Accidental fires are caused due to campfires and cigarette butts. Even when the fire is started due to natural causes, the spread is more rapid due to an increase in the fuel load. Earlier, the population density was low and extent of forest was vast in comparison. The increasing thrust of population pressure makes the relationship between the people and forest more destructive. Of late, there has been the issue of dry climatic conditions due to the El Nio and consecutive droughts. The forests and the soil that hold them have a very low-moisture content, making it easier to catch fire and to spread it. The water bodies which act as natural barriers for fire are all dry now. Therefore, while the natural causes that started the fire have not changed, the climatic conditions are just right for the fire to spread. And once the fire spreads, it is very cost-ineffective and unsustainable to put it out. Chandrakala Danu, gram pradhan of Bhainskal gram panchayat in Pithoragarh district, too, says that the forest department has failed them. “We have asked the forest department to appoint a fire-watcher. We are even willing to pay the salary. But they have not done anything yet,” says Danu. Left to themselves, 40 members of the two van panchayats have formed groups to douse the fires. “The intensity of the fire increased every day. We single-handedly fought for seven straight days after the fire broke out in our forests, but could not even manage to save half of our forests. Sometimes, we feel helpless,” she says. There are several examples within India where empowered communities have successfully saved forests from fires. One such example is of Bilapaka village in Odisha’s Mayurbhanj district where the community started to keep a check on the forests the moment they realised the summer is going to be warmer and drier this year. The 54 tribal families, who received rights over 1,200 ha of forestland last year, have devised a simple and effective mechanism to check small fires in their forest. They first passed a resolution and set up the Bilapaka Jangal Surakshya Parichalana Committee (BJSPC). They then chalked out an effective warning mechanism and a process to immediately stop fire incidents before they become unmanageable. “Two members of the village are assigned the duty of patrolling our forests and alerting village residents in case of a fire. And as per the village resolution, we do not wait for the forest department officers to bring fire under control. We ourselves curb the fire spread in the particular area,” says proud resident Kurbeli Nayak. In March this year, BJSPC submitted the management plan for forest with Sub-Divisional Level Committee and District Level Committee. Neighbouring Kohla village has also been able to keep forest fires at bay by adopting a similar mechanism. In the Similipal National Park area, 43 villages have been awarded community forest rights. Seventeen of these villages have already submitted forest management plans to the administration. “I have been regularly visiting these villages. I have hardly seen fire continuing for more than an hour in the forest surrounding them,” says Tanuja Mishra, a researcher who has been working with the tribals. Now more than 40,500 ha of forest are controlled by several communities in Similipal National Park. Their efforts are directly helping the cause of tiger conservation. Similar stories of forest dwellers coming forward to tackle forest fires are found in Madikhol, Sapangi, Nedipaju and Sunamai villages under Jamjhari gram panchayat in Kandhamal district. So the solution is simple, communities will have to be empowered to manage forests. “Till then, forest fires will continue,” says Shukla.